The name of the town is derived from Wagin Lake, a usually dry salt lake south of the town. The Aboriginal name is Waitjen, having been first recorded for the lake by a surveyor in 1869-72. 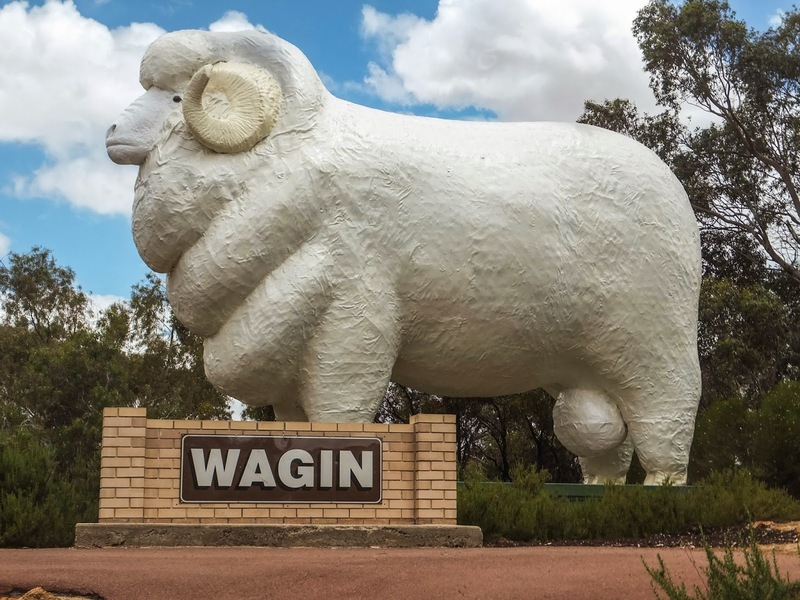 There is uncertainty about the actual meaning of ‘Wagin’ but it is likely that it either means ‘the place where emus watered’ or ‘Emu’s watering hole’. The first European explorer through the area was John Septimus Roe, the Surveyor General of Western Australia in 1835 en route to Albany from Perth. Between 1835 and 1889 a few settlers eked a simple living by cutting sandalwood and shepherding small flocks of sheep. Land was granted to pastoralists in the area from the late 1870s onwards. The town itself came into existence after the construction of the Great Southern Railway which was completed in 1889 with the town originally called Wagin Lake. The local Agricultural Hall was built by 1896 and opened December 1 the same year. In 1898 Wagin was proclaimed a town with the word ‘Lake’ was dropped. A further railway connection with the Collie to Narrogin line at Bowelling was made on 10 December 1918. In early 1898 the population of the town was 175: 125 men and 50 women. In 1934 the town was extensively flooded after the area experienced 5.4 inches (137 mm) of rainfall in a short period of time, the heaviest for 20 years. Water over a foot deep flowed through the Town Hall and along business premises and dwellings along Tudor Street. The railway yards were flooded and the railway dam burst under the water pressure. Today, the town is one of the largest towns in the Southern Wheatbelt region, and annually hosts the Woolorama, one of Western Australia’s largest Agricultural Shows. We recognise that Wagin is located on Noongar country.